De’Andre Armstrong is going to change the world–one horror movie at a time. 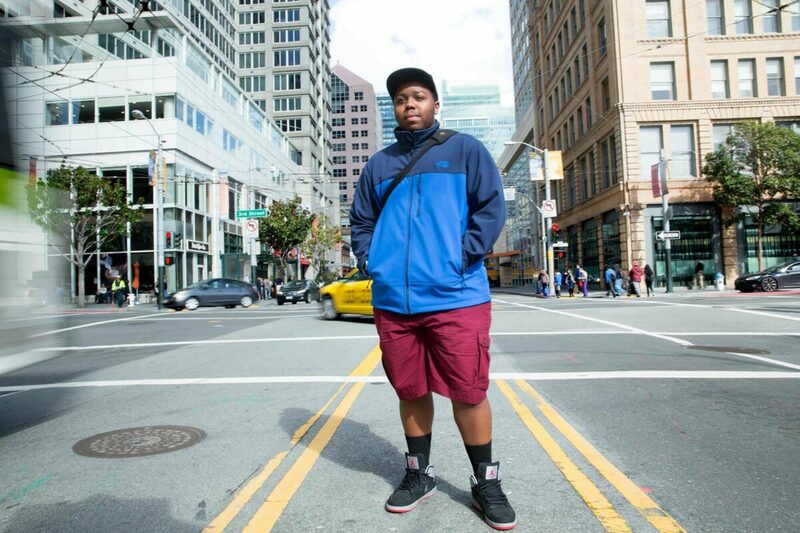 As a media studies and film graduate from the University of San Francisco, De’Andre is paving the way for low-income, minority youth. De’Andre is an alumnus from the inaugural class of Gary Comer College Prep, and like most of his peers, he grew up on Chicago’s South Side. Although he describes his neighborhood as a place where he is sometimes fearful for his life, that doesn’t diminish his hometown pride. “If I make it big I will always have a house in my hometown and I will always represent it wherever I go,” said De’Andre. Growing up, De’Andre was close to his mother, whom he described as a strong woman and supportive parent. But after middle school, De’Andre’s mother fell ill and in 2008 she passed away. His father was not around. For De’Andre, it was having a good support system and a desire to live out his dream for his mother that kept him going. De’Andre was living with his aunt when he joined Gary Comer College Prep’s first freshmen class. The teachers were recent college graduates who had fresh perspectives on the value of higher education and believed in De’Andre and his peers. They used a variety of tactics to ensure success including fostering healthy competition. De’Andre confessed, "One of my closest friends, I was sort of secretly competitive with him. He would sometimes have a higher GPA than me and I would get mad and try to do better than him." For De’Andre, success means getting a college degree and working in the film industry. As a kid, he read “Goosebumps,” a series of children's horror fiction novellas, and re-watched VHS tapes of the show, which aired on Saturdays. While horror is his first love, De’Andre is interested in all genres. He wakes up excited to check the industry news every morning and knows most of the players, including the people who are up and coming. My dream is to have a movie that I made in theaters nationwide. To see my name on posters at AMC,” said De’Andre. Realizing his dream started with selecting the University of San Francisco. De’Andre did not have money to travel, so he first set foot on campus in 2012 as a college freshman. He was surprised by the wealth, including “unnecessarily expensive cars” such as Porches and Lamborghinis, but academically, he found that his high school experience prepared him and that university coursework was manageable. Working towards his degree helped Armstrong develop his style and made him more marketable. Classes focusing on production basics and narrative filmmaking, supplemented with courses such as experimental film, gave Armstrong opportunities to work hands-on with cameras, provided experience with storytelling and taught important editing skills. 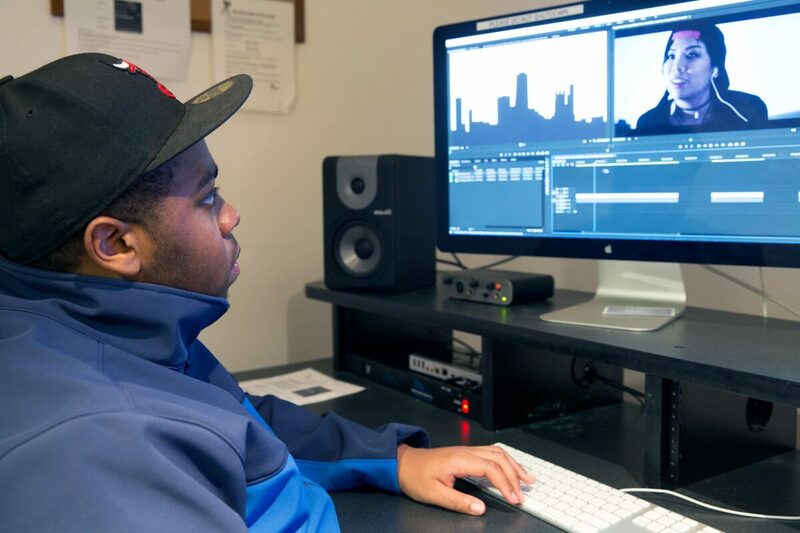 To make the most of his student years, De’Andre found ways to film and edit outside of class. As an audiovisual technician for the university’s media services, Armstrong recorded public speaking classes, graduations and guest speakers. He also competed in Campus MovieFest, a national film festival that loans cameras and laptops to students to see who can make the best short film in a week. The University of San Francisco festival receives around 100 entries each year, shows the top 16 in a local theater, and posts the films on its website. De’Andre beamed when he shared that for the past two years, his films, True Colors and Ageless, made it into the top 16. This early success is the result of hard work and a willingness to do whatever it takes. "Sometimes when I am editing time just goes by,” said Armstrong. “I will work on it for however long I need to make sure it is good." De’Andre is looking for a job in the film industry. He is asking his contacts for advice and to help him find, “that one person who will get you on set.” A former teacher of De’Andre’s from high school is connecting him with a few producers and editors and De’Andre hopes they can open doors in Los Angeles.